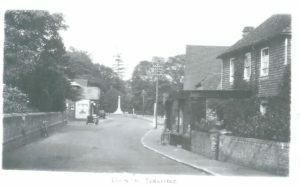 Leigh High Street looking towards Andersons shop and war memorial, so post-1920. 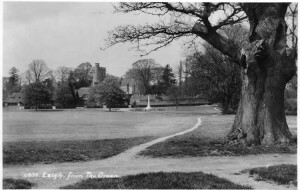 Note no cars; no pavement on left-hand side nor around the Green. 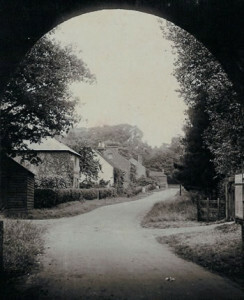 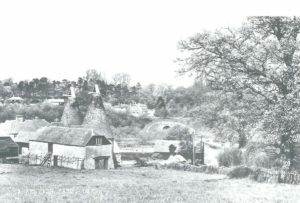 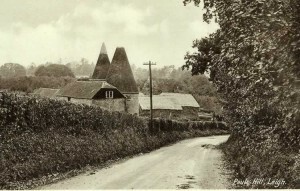 Postcard entitled A Kentish Farm, Leigh - view down towards what is now Pauls Farm Oast. 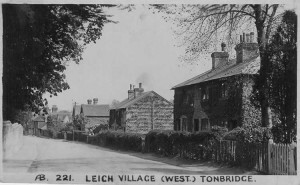 Leigh High Street looking East. 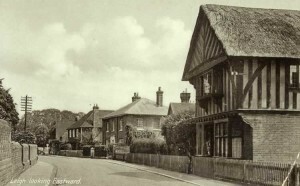 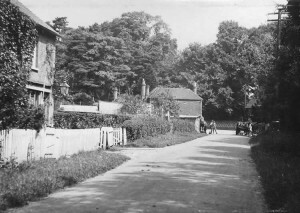 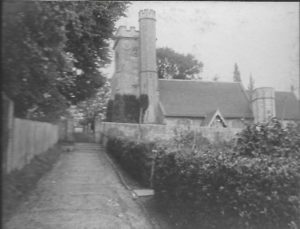 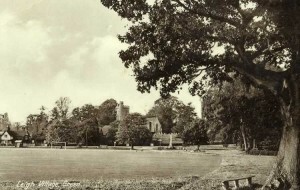 Note wall on left in front of what was then Park Cottages - now the Stone House and Park Cottage. 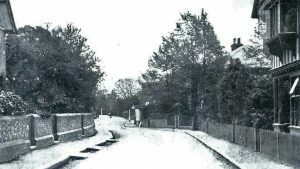 The wall has in part been demolished to make way for car access. 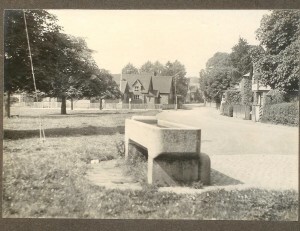 On the right the first house of The Square. 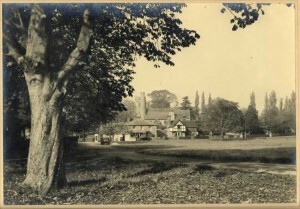 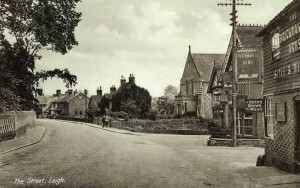 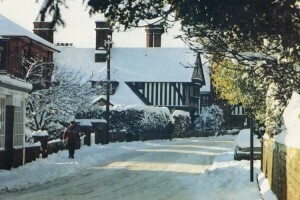 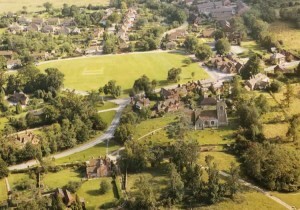 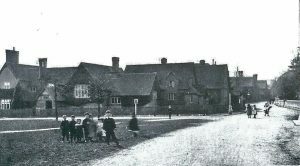 View of Leigh School - note no pavement encircling Green, and children playing on the road. 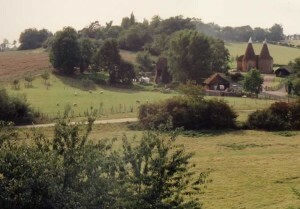 Church Hill. 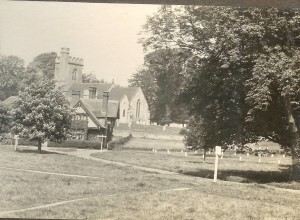 From album of Rev. 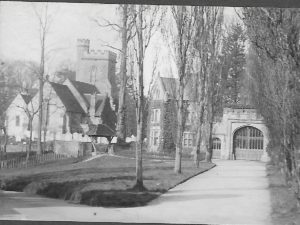 Octavius Walton Vicar of Leigh 1906-1918). 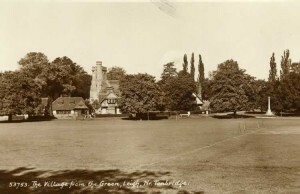 View does not show the cottages on the right hand side, just entrance gate to them.